This is a Fantastic offer from SkinCeuticals, the maker of premium skin care products. This is one offer you should take advantage of. Taking care of your skin with premium beauty products can be expensive, especially if you're on a tight budget. Fortunately, this offer from SkinCeuticals will help your skin glow without forking out a fortune. SkinCeuticals is offering 3 samples of cleansers in their premium range. To request your free samples all you have to do is head on over to the official SkinCeuticals website and register your interest. The samples should arrive in the post within 4 to 6 weeks. To find out more about this fantastic offer check out the following LINK. 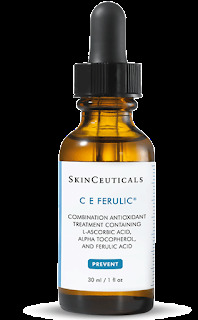 This is a fantastic offer from SkinCeuticals and it won't last forever. This offer is based on a first come first served basis so hurry and get your skates on. Feel free to share this offer with other people who might find it useful and enjoy a good beauty regimen. Like I always say, share the love. Feel free to leave a comment or question below in the comments section, I love hearing from the community. I hope you enjoy your free samples.